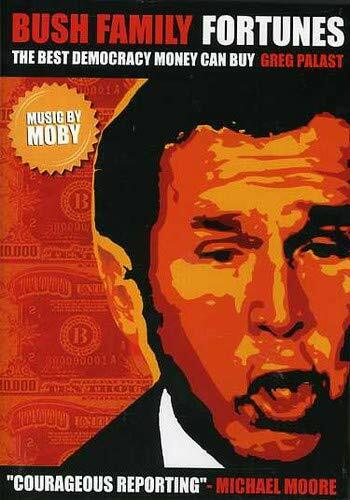 In a banner year for documentaries, Bush Family Fortunes is the most important. No American reporter has uncovered more big stories than Greg Palast, but his work mainly appears on the BBC and never seems to make its way into the corporate-owned media in the U.S. Bush Family Fortunes allows Americans to see the news they&#146;ve been missing. Palast starts his study of Bush-style politics and economics by looking at George Bush Jr.&#146;s Vietnam-era military service. Bill Burkett, now at the heart of the controversy over the recent 60 Minutes report, appears in the film but Palast was unable to find the source of the document that later got CBS into trouble and therefore he declined to use it. The film demonstrates just what a sideshow the flap over the document is. A former fighter pilot remarks that he does not know of any other case in which someone won assignment to the Air Guard without at least three and a half years of active duty in the Air Force, let alone without basic pilot training, as in Bush&#146;s case. Only a political shock-and-awe campaign by his father could have allowed Bush Jr. to overcome that obstacle and the low score (25 out of 100) that he received on his flight test. Palast might also have added that (as Eric Boehlert has pointed out ) Bush&#146;s discharge papers indicate that the last time he showed up for duty was April 1972, the same month in which both active-duty and Guard units began implementing a Pentagon directive on mandatory drug testing. The strongest segment in the movie is the account of Governor Jeb Bush&#146;s suppression of the African-American and Democratic vote in Florida during the 2000 election&#151;still the most under-reported story of recent years. In the months prior to the November vote, Jeb&#146;s election officers ordered 94,000 voters removed from Florida&#146;s electoral roll on the grounds that they were felons. A majority of those on the list were black and the vast majority were Democrats (race and party affiliation are recorded in Florida voters&#146; registration files), but only five percent were felons. The highlight of the film is a clip of Clayton Roberts, Florida&#146;s director of elections, who responds to Palast&#146;s question about the list by removing his microphone and scurrying back to his office with as much dignity as he can muster. (The response of Katherine Harris, Florida&#146;s secretary of state, was not much better.) No less dramatic, but much more human, is Palast&#146;s interview with Willie Steen, an African-American voter who tells of his anger and humiliation at being turned away at the polls in 2000. Jeb Bush&#146;s list had Steen down as a match for a felon named William O&#146;Steen. More than any other documentary, Bush Family Fortunes shows how George Jr.&#146;s life of regal privilege has convinced him that he can get away with anything. In footage shot right after the Enron scandal broke, the president tries to distance himself from his good friend and #1 backer, Enron-CEO &#147;Kenny Boy&#148; Lay. Though he flew around in the Enron jet during the 2000 campaign, Bush admits only that he once had a &#147;general discussion&#148; with &#147;Mr. Lay&#148; and twenty other business leaders. &#147;I have not met with him personally,&#148; he adds. Of the many possible ways to counter Bush&#146;s attempt to run away from Enron, Palast chose the funniest: some amusingly sycophantic tributes to the president from two Enron lobbyists who raised $100,000 for his campaign and some excerpts from a video made for the retirement party of an Enron executive, which show Bush Sr. and Jr. offering warm testimonials.